A new report says Apple’s second-generation AirPods are being readied for a release later this year. 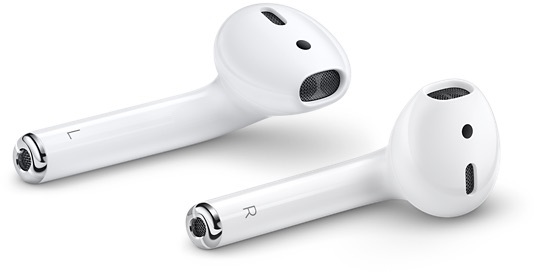 A new “exclusive report” from relatively reliable rumour source MySmartPrice claims that the Apple AirPods 2 will boast “superior audio quality” to their predecessors, but will largely look the same as the original AirPods. According to the report, the new AirPods will look just the same as the old ones — the only difference is a new coating to improve grip. The current generation’s glossy plastic is quite slippery, and many people have a hard time keeping them in their ears. The report also further backs up claims that the AirPods 2 will have biometric sensors, allowing them to double up as a fitness tracker. Back in July Apple filed a patent for biometric sensors which would allow the AirPods 2 to take on fitness tracking capabilities. The battery life is expected to be the same as the current generation AirPods. Interestingly, there has been a lot of demand for a black variant of the AirPods and it appears that the second generation of the wireless earphones will have one. The price is expected to go up from $150 USD to $200. MySmartPrice is also reporting that the fabled AirPower Wireless Charging mat will also debut this spring, alongside a wireless charging case for the original AirPods. The AirPower wireless charging mat has faced significant production issues, being delayed continuously since its announcement alongside the iPhone X in 2017. As usual with these reports, treat them accordingly, with a healthy dose of skepticism, until the official announcements have been made.